Providing digital organs to churches, cathedrals, concert halls, schools, private homes, and more. We are a small but dedicated team based in Portsmouth (Southern England). We specialise in supplying, installing, and advising on digital organs in churches, cathedrals, concert halls and schools, as well as for private home-users. We sell new Viscount digital (electronic) organs; used digital organs; and offer a full range of repair and maintenance services. 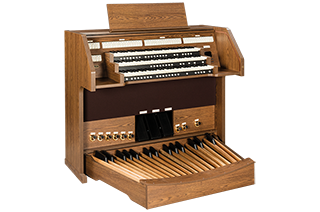 We are passionate about our industry and provide consultancy in the area of church music, as well as the provision to hire the services of professional organists through us. Our main focus is to help to place the right instrument, into the right environment at a competitive price. Mark is an accomplished player and has many years experience of working with church instruments. Mark is a welcome addition to our dealer base, and now brings Viscount instruments and know-how much closer to our customers all along the South Coast. 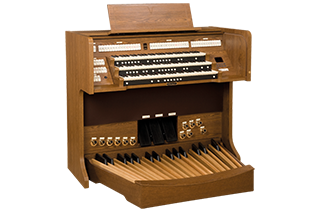 We tried a number of organs but immediately the Viscount Physis sound stood out to our organist with fifty-six years experience of both pipe and electronic instruments. Our personal choice (in line with our budget) was the Viscount Envoy 35-FV. The sound is superb and the value exceptional. 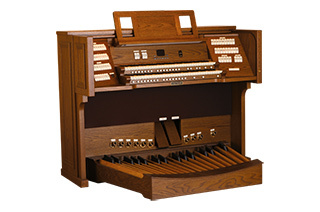 The congregation and I have enjoyed and appreciated the sound of our Viscount organ. 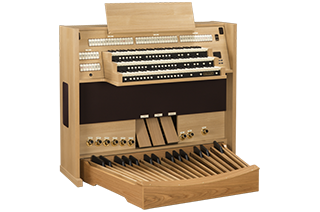 There are still delights to explore in the amazing voicing flexibility offered by the Physis technology, but no one should fear this flexibility – you can simply turn the organ on, and play a well sorted instrument that seems to me and others to be amazingly good value for money.